The Annual Society for Neuroscience Meeting is where fundamental neuroscience research is presented to a worldwide audience. This year’s meeting includes research presentations from many of the cutting edge labs working on AD. In today’s blog, I will summarize a few of the many findings presented at this meeting that are helping us get a better picture of AD, as well as potential new avenues for its treatment. Our current thinking about the cause of AD is that beta-amyloid accumulates in the brain, most likely due to its faulty clearance out of the brain, and into the bloodstream. Once in the blood, beta-amyloid is rapidly degraded in the kidney and liver. But within the brain, beta- amyloid is thought to cause damage to synapses (connections between brain cells. 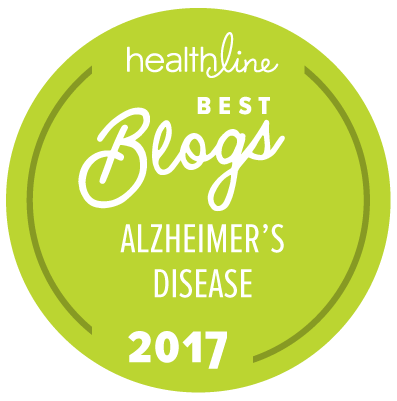 Apolipoprotein E e4 (apoE4) is the most important genetic risk factor for sporadic Alzheimer’s disease. The apoE protein exists in three major forms (apoE2, E3, E4) and the risk for getting AD differs with each form, E4>E3>E2. The exact mechanism by which apoE influences the onset and progression of AD is not completely understood, but we do know that apoE4 binds directly to beta-amyloid and forms a protein complex. Previous research has shown that the binding of ApoE4 to beta-amyloid shifts the removal of beta-amyloid out of the brain from a rapid export pathway, to a very slow pathway, resulting in poor beta-amyloid clearance from brain, and hence, its accumulation. Dr. Holtzman’s laboratory at Washington University and Dr. Brad Hyman’s laboratory at Harvard Medical School presented data showing that apoE4 may also facilitate transport of beta-amyloid directly to synapses in the brain of AD patients, and lead to their disruption. They analyzed 18,000 synapses in human brain tissue from normal and AD patients and found that ~25% of synapses in both AD and normal brains contain apoE protein. In AD brains, a subset of these apoE –containing synapses also contain beta-amyloid, and in fact, have twice as much beta-amyloid as those with apoE3 in the synapses. Moreover, the synapses that have beta-amyloid are 21% smaller than those not containing beta-amyloid, indicating structural damage. This work is beginning to give us a glimpse as to how apoE4 may influence the onset and progression of AD. Not only may ApoE4 lead to accumulation of beta-amyloid in the brain, but it may also be routing it to synapses. Certainly, the binding of ApoE4 and beta-amyloid is a potential therapeutic target, and researchers are working on identifying such molecules.